We compiled a list of Seven Surprises you might find on a 7 day trip in April, or 6 day trip later in the season. Why April? April is preferred by professional photographers for blooming flowers, cooler temperatures for hiking, and more thunderous waterfalls. Are we revealing too much here? Is the grass really greener in April? Read on, then tell us if you were surprised when you book your trip! 1. 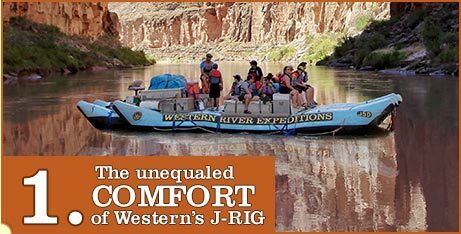 The "Cadillac of the Colorado" – Would you be surprised to learn that Western's J-Rig is the ONLY large capacity raft on the Colorado River that actually has seats that face forward? While that's surprising, add that you can choose from 9 "gusto" seats up front, or buckin' bronc seats on the row behind. It's like stadium seating for the ride of your life folks! Want to stretch the legs between whitewater? No problem! On a J-Rig you can actually stand up and walk around – another benefit to J-Rig riders. 2. Spectacular Side Hikes – You may not be surprised to learn that the Grand Canyon, a singular paradise in itself, is beautiful. But witness thundering waterfalls at the river's edge, jump into dripping grottoes, or stalk through narrow canyons with no sounds at all and you'll be surprised at how surprised you'll be. The Grand Canyon is home to dozens of little paradises, the memories of which will haunt you the rest of your life. That's a good thing. You'll thank us later for guiding you to them. 3. Uniquely Easy to Relax – Rivers (and rapids) have a surprising way of focusing the mind, but throw in the words "all-inclusive" and the bliss runs even deeper. River life is remarkably straightforward. You don't have to corral your group into which activity to do next, what logistics you'll need to get there, or stress about feeding times. Seriously, show up with a duffle bag of clothes and we'll take care of the rest! …actually you take the rest and relaxation, the guides will keep serving up more. 4. 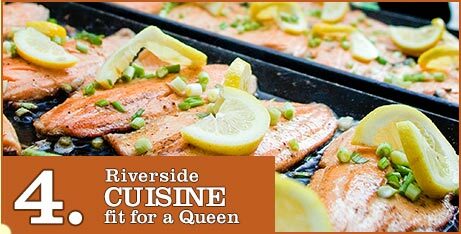 Gourmet Food – Food to make critics from France wonder what's in the sauce prepared by American river guides and served in ovens invented by the Dutch! Our restauranteering scores even topped the charts so high that the Coconino County, AZ food and health department thought we were an actual restaurant! Can food really ever be described adequately? Trust us, you'll be surprised. 5. 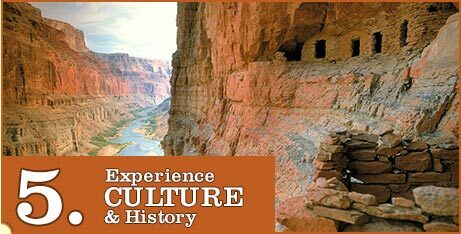 History Bluffs – Steeped in cultural and natural history, the Grand Canyon will pry open your curiosity, whisper to your soul, and leave you breathless. Okay, the breathless part may only be from the hikes to ancient ruins or stunning vistas. We don't know how it works, we just know it happens on every trip. You won't go back home the same as when you arrived – and you'll be surprised how hard it is to share the feeling when you get back home with friends. 6. 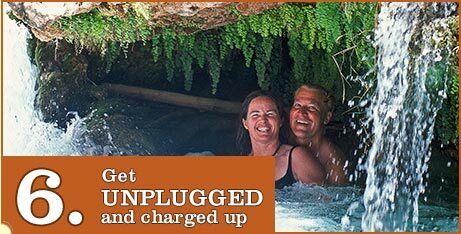 Get Unplugged – Surprise! The only bars you'll see in the Grand Canyon are either sand or chocolate. The setting and pace of a rafting trip provide for humans being, instead of humans texting. 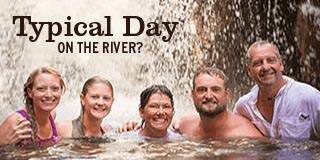 The new friendships you make, and the bond you share from the experiences on the river will surprise you. Not many vacations remain in the world where you can share a singular experience, while you slide around the corner, off the grid. 7. 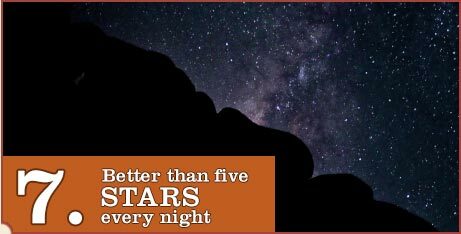 Rocks, Stars – Unsettling might best describe the vivid depth of the heavens from within the depths of the earth. Black canyon walls rise, then gape open to reveal a star-studded crack of sky, with a dusting of Milky Way. Surprising describes the difficulty of going back to sleeping in a cubed container called home. You've found a new home now, amongst river and rock and sky. 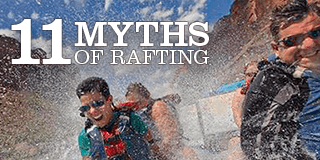 What do YOU think are the surprises of a rafting trip in the Grand Canyon? Share your thoughts and ideas in the comments! 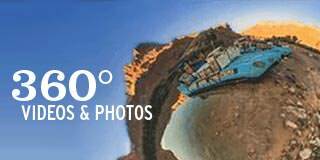 What is the difference between the 6 and 7 day trips? 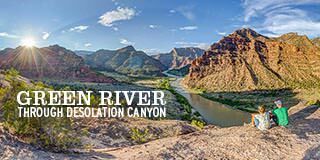 Covering the same 188 miles of astounding Grand Canyon beauty as the 6-day trip, our 7-day Grand Canyon experience offers one more precious day on the river. You'll take additional side hikes to waterfalls, hidden grottos, and American Indian ruins. 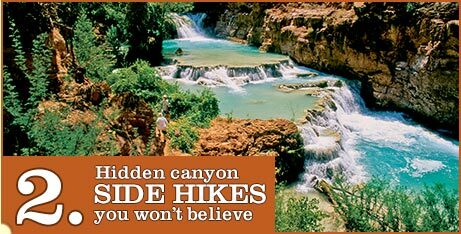 Plus, you'll have a little extra time to spend at renowned sites like Havasu Canyon. In addition, the 7-day trip runs in April which generally offers spectacular wildflowers and cooler temperatures great for hiking.